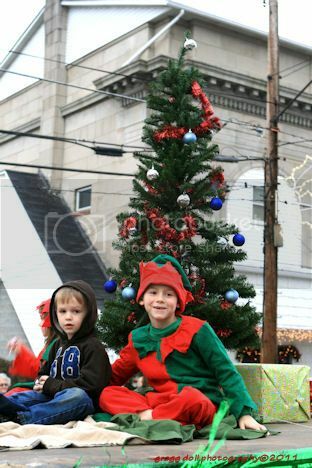 In 2000, the towns of Barnesboro and Spangler became one town -- Northern Cambria. 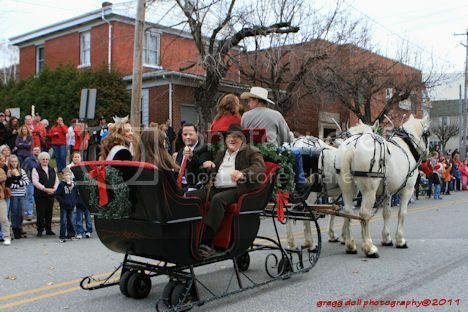 Before the merger, each town would have a Christmas parade. 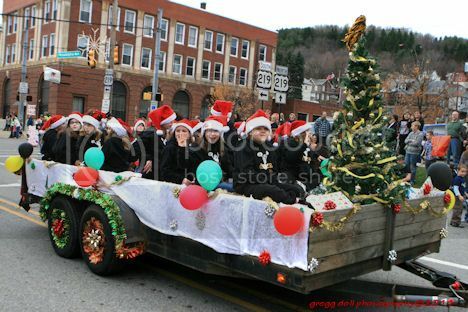 Since forming Northern Cambria, the parade alternates, one year it's held in the area formerly known as Spangler, the next year it's in the area formerly known as Barnesboro. 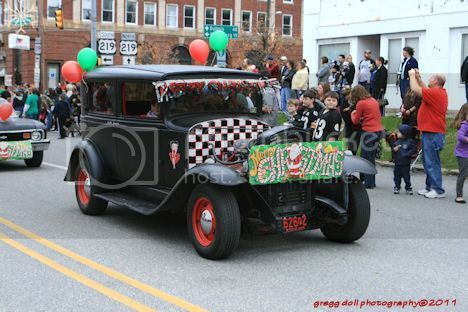 This year's parade was held in the Barnesboro area this past Sunday. The beautiful blue skies that are seen in the first few photographs were quickly replaced by gray skies and within 45 minutes, the rain was coming down. 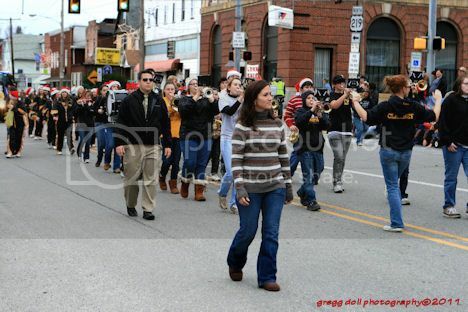 The first six pictures on this week's blog were shot as the parade participants started to show up at the staging area located next to the old shirt factory along Maple Street. 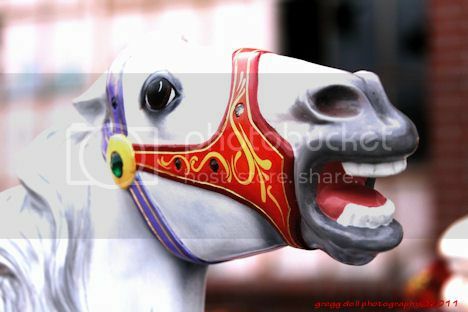 Close-up of one the four carousel horses on the DelGrosso's Amusement Park and DelGrosso Foods float. 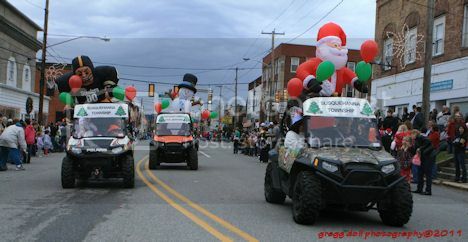 This was the largest float in the parade. 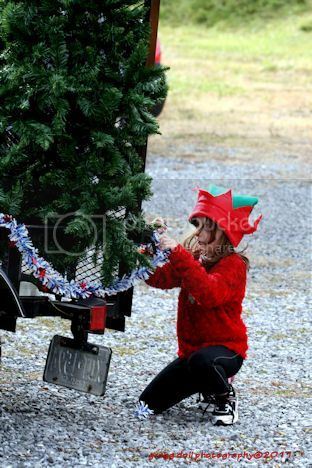 This young lady was starting to put the decorations on the local Girl Scout Daisy Troop 40767 float. 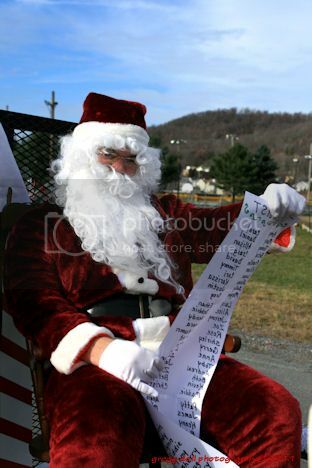 At last, I found someone who doesn't have me on their list! 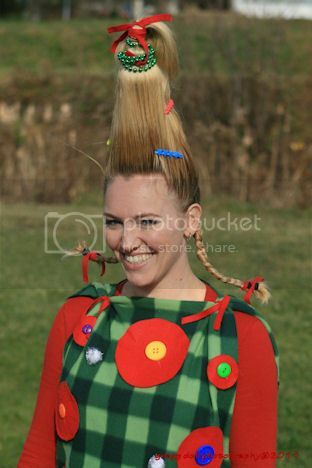 One of the more elaborate hair-dos on one of the residents of Whoville who participated in the festivities. 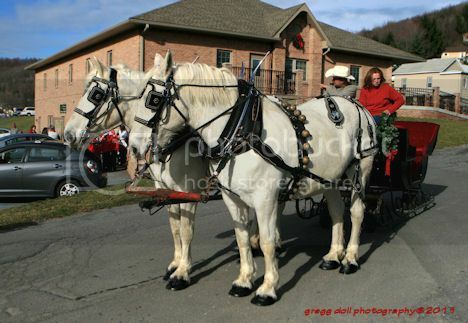 It just wouldn't be a Christmas parade if there wasn't at least one sleigh pulled by a team of horses. 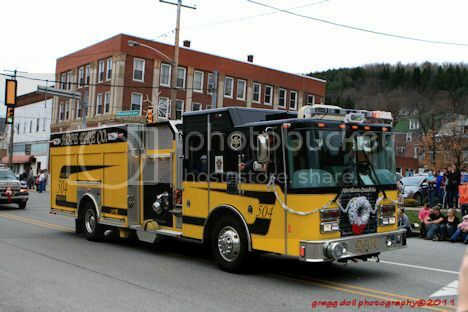 As always, the local fire department leads the parade down Philadelphia Street. 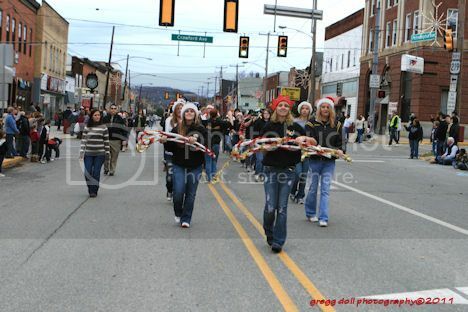 Next in line, comes the Northern Cambria High School Marching Band. Northern Cambria Middle School Cheerleaders. 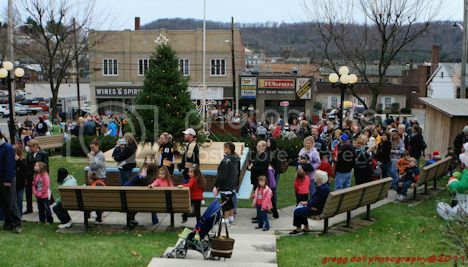 Due to the impending weather that was moving into the area, the guests of honor were moved to the center of the parade rather than being at the end. Miss Pennsylvania, Juliann Sheldon of Plum Borough, Allegheny County, looking over her shoulder, along with newly elected Cambria County Commissioner Thomas Chernisky and Sam Valenty, retired businessman and former county commissioner. Miss Delaware 2011 -- Marie Cahill of Rehoboth Beach, Delaware greets the crowd from the DelGrosso's float. 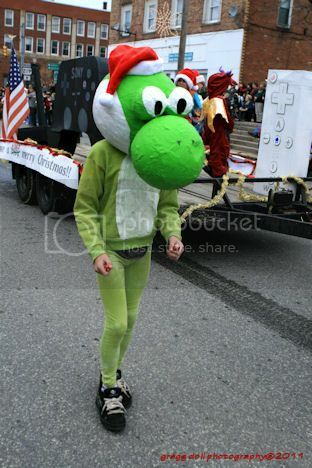 Yoshi, a Mario Brothers video game character. 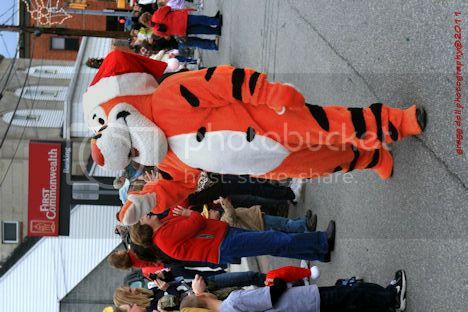 Tony, the Tiger waves to the crowds along the parade route. 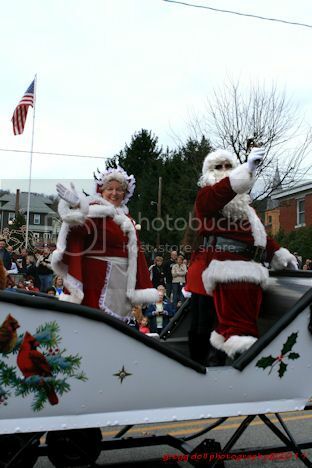 I think this is the first time the Susquehanna Township Board of Supervisors have participated in the parade and they were joined by the Northern Cambria Civil Defense Group. 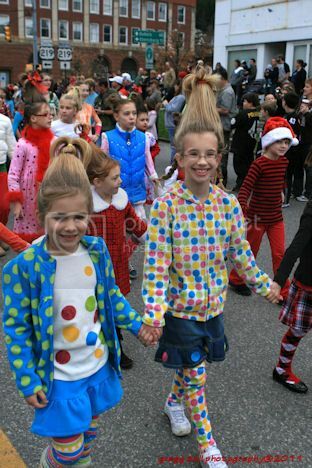 More of the residentts of Whoville. 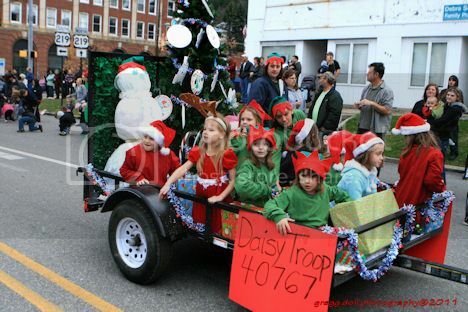 The decorated Daisy Troop float. Peck's Bad Boys hoping to earn a few extra bonus points before Christmas. 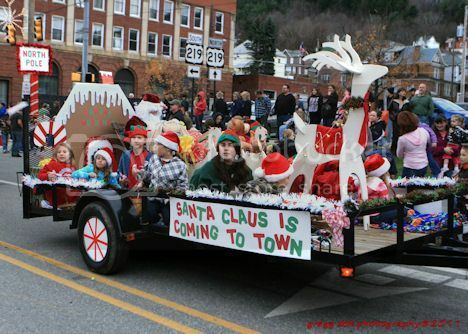 Children riding on the Northern Cambria Parent Teacher Student Organization float. 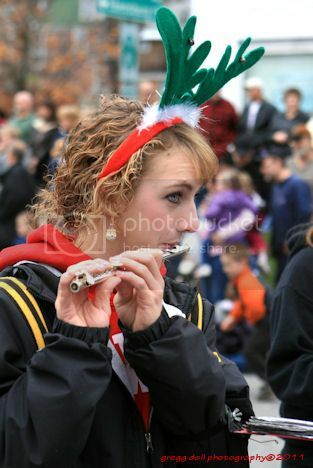 Miss Pennsylvania poses for a photograph at the end of the parade. 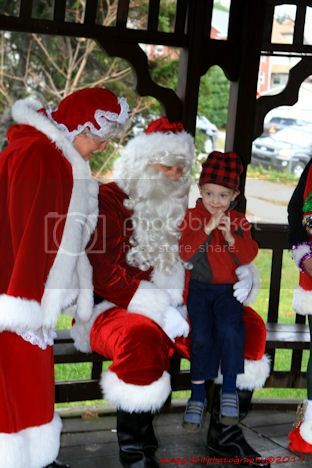 Kid's line up for a chance to talk with Santa Claus just minutes before the rain began to fall. 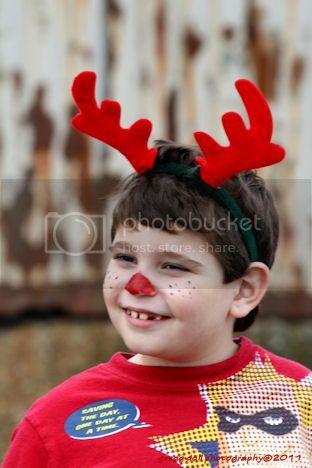 A young man gets a few minutes of lap time with Santa Claus.